Essential Oils are a delightful way to relieve stress, calm the mind, and lift the spirits. 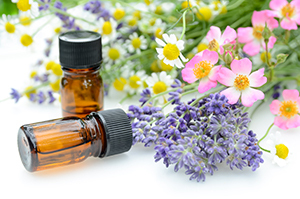 Learn about the benefits of essential oils and how to incorporate them into your everyday life. We'll discuss what essential oils are, how you can safely use them, and which ones are good for different health issues, natural cleaning, and supporting your emotional health. Samples and resources will be available so you can explore these natural solutions on your own. All material provided in class is for your information only and may not be construed as medical advice or instruction. No action or inaction should be taken based solely on the contents of this class. You should refer to a qualified health professional on any matter relating your health. Neither Green River College, Green River College Continuing Education, Green River College staff, or the class instructor are responsible or liable for your application of material learned in this class.